Can you use music to learn French? How can you use music to learn French? What type of French music can you use to learn French and where can you find it? If these questions have crossed your mind, you’ve come exactly to the right place. In this article, we’ll talk about using music as a way to supplement your French lessons. You’ll also be able to get access to tons of French songs that I have specially curated for French learners of all ages. I have to be honest, I’m not the biggest fan of using music to learn French. You know how musicians often take shortcuts liberally, blend words together, and alter individual word sounds more than necessary? Well, this could make it hard for beginner French learners to identify words properly and learn correct pronunciation. BUT---if you know how to use French songs to supplement your lessons, it could work out very nicely for you. Now let's take a look at how and why music would help you in learning French. Music will help you immerse yourself in French culture. To be able to thoroughly enjoy learning French, you need to expose yourself to French culture. One way to do it is by listening to French music. Music will train your ears to French sounds. Listening to French songs will introduce you to how French words are being pronounced as well as the general tempo of spoken French. Discover new French words. By listening and singing along to French songs, you’ll be able to pick up new words in context! Memorize vocabulary and phrases with the help of a catchy tune. Song lyrics could easily stick to your memory. Make the most of it by listening to French songs and committing the new words, slang, expressions, and phrases to mind! 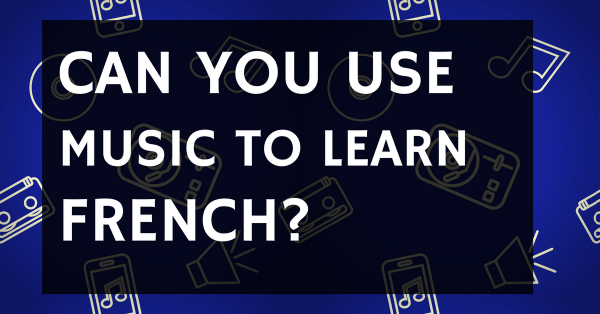 Now that we’ve established that you can, in fact, use French music as a way to supplement your French language lessons, here are some ways which you can use music to learn French. Choose songs you’d enjoy. Are you a fan of heart-rending love songs? Do you like to rap along to some hip-hop beats? Or do you want to dance along to some funky tunes? Pick the kind of music you normally listen to and listen to French songs from the same genre. Look up the lyrics. Once you have selected the French songs that you like, find the original lyrics as well as the English translation and sing along to the songs. Better yet, get an app that will turn your phone into a karaoke---like musiXmatch! Memorize the song in parts. There’s no need to memorize the entire song all in one go. You can start with the chorus first or the first few lines. Or you can learn the song one line or one verse at a time. It’s up to you. Listen to the song on repeat. Play it over and over until the melody and lyrics stick. SING! This is the best part: sing to your heart’s content! Sing, dance, hold a concert for one. Sing in the car, in the shower, or wherever you feel like belting out a song. The best way to practice French songs is to sing it. There’s no need to look any further because here in Talk in French, I’ve prepared a lot of French songs for you to listen to. The playlists are quite substantial and includes a collection of more than 600 French songs that you can listen to for free. That’s plenty of songs for you to choose from! I even added synchronized lyrics so you can turn your computer or your smartphone into a mini karaoke! This is especially helpful in learning new French words. You can list down words you don’t understand and look it up later on. You can check out the playlists below. You’ll find the instructions on how to access the music inside the articles. This playlist contains hundreds of French songs across different genres. This is where you will discover your new favorite French artists as well as find new and old songs to enjoy. Whether you are learning French with your children or you're still a complete beginner and need simple lyrics and rhymes, this playlist is a good one for you. In the mood for love? From heartbreaking ballads to mellow love songs, there's a French love song for every mood and you can find them here. Do you love Christmas? When Christmas is fast approaching, what better way to practice French than to curl up in front of the fire with a mug of hot cocoa and listen to French Christmas songs? If you've got a thing for the 80's, you're in luck because there's a playlist of French songs from the 80's especially for you! Music is a good way to help you learn new French words, immerse in French culture, and even help you feel good not just in your French language lessons, but in your day-to-day life as well. If you know anyone who would love to listen to these French music playlists, feel free to share it with them, too! Do you want more tips on how to learn French effectively? 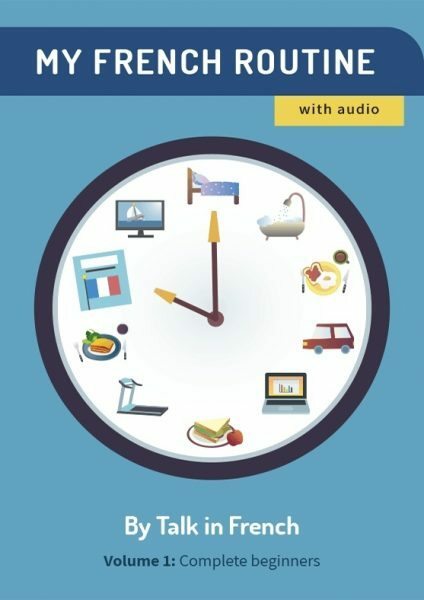 ​Grab your copy of Fluent in French, the ultimate French language study guide. You’ll get language hacks, tried-and-tested formula specifically for French, and lots of useful guides regardless of your level. Previous Post Quiz: How Well Do You Know French Slang? Next Post Quiz: Which Region in France Fits You Perfectly?